The United States Golf Association (USGA) today named Pro Football Hall of Famer and four-time Super Bowl champion Joe Montana as the 2019 U.S. Open Championship’s Honorary Ambassador. The 119th U.S. Open Championship will be played June 13-16 at Pebble Beach Golf Links. One of the most iconic figures in sports, Montana is a Bay Area legend, having spent 14 seasons with the San Francisco 49ers, winning four Super Bowls while earning Most Valuable Player honors in three of those victories. Widely regarded as one of the greatest quarterbacks in the history of the game, two-time NFL MVP Montana is the franchise’s all-time leader in both passing yards and touchdown passes. Montana’s No. 16 jersey was retired by the 49ers in 1997, and he was inducted into the Pro Football Hall of Fame in 2000. In addition to his success on the gridiron, Montana is also a passionate golfer, having spent his youth as a caddie at his local course in Pennsylvania. He has also hosted and participated in numerous golf events supporting a variety of causes throughout the Bay Area. Brooks Koepka, who in 2018 at Shinnecock Hills Golf Club became the seventh player to win back-to-back U.S. Opens, will be looking to become only the second three-peat champion (Willie Anderson, 1903-1905) when Pebble Beach hosts its sixth U.S. Open. Limited daily and multi-day ticket packages are still available. 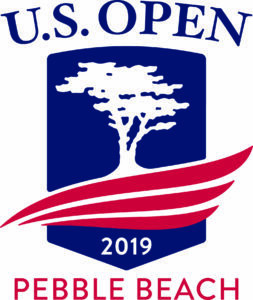 For more information, or for any questions related to 119th U.S. Open Championship tickets, visit usopen.com, email ticketquestions@usga.org, or call 1.800.698.0661.